This recipe explores all four corners of the taste world: sweetness, spice, salty and sour. This Hoisin Pork recipe is another Kylie Kwong classic. I can’t praise her recipes enough, they are fresh, simple and always on the money. 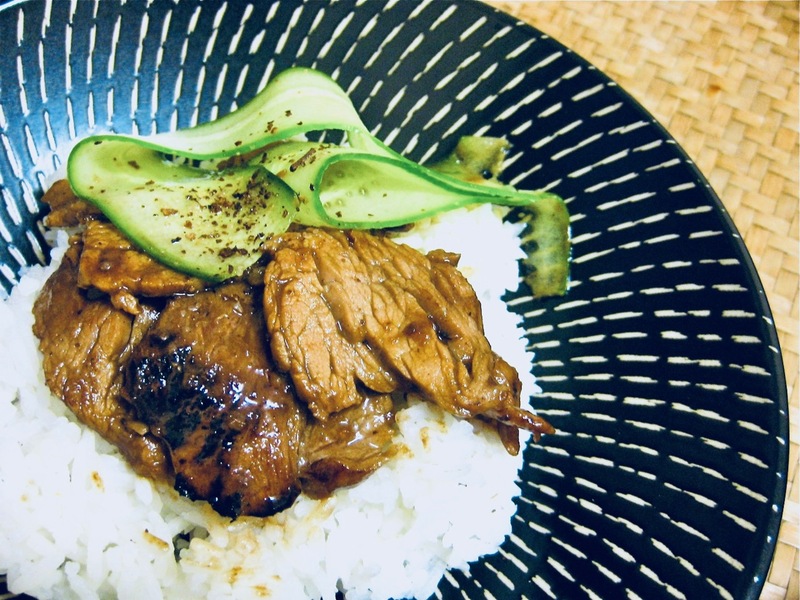 I love this recipe because it has a lovely combination of sweetness in the pork marinade and the crunch of the fresh cucumber is a stroke of genius. The sprinkling of Sichuan salt and pepper at the end is beyond words. 1 large pork fillet, sliced thinly. Marinade pork for half an hour. Stir-fry the pork in 2 batches, in a dash of hot, smoking peanut oil. Put all the pork in the wok and add the soy sauce. Serve on steamed jasmine rice and finely sliced cucumber. 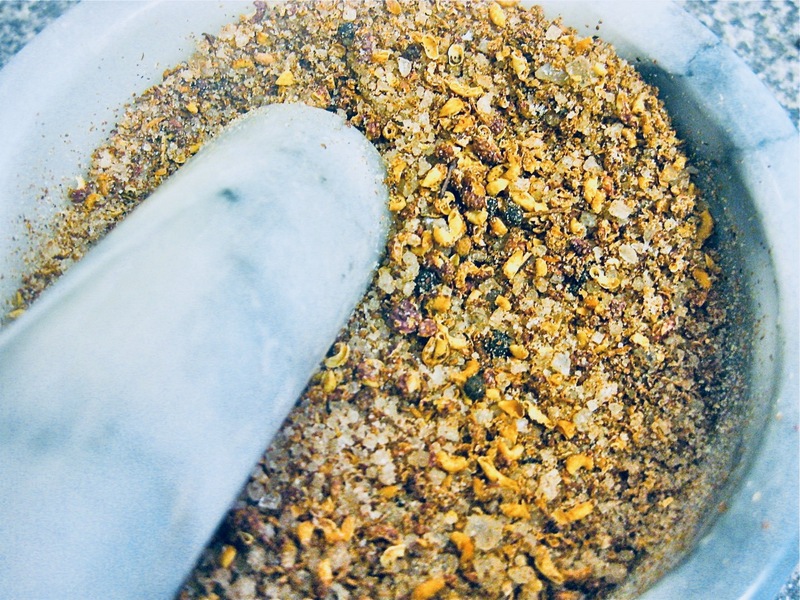 To make this amazing seasoning, simply dry-fry some Sichuan Pepper corns in a frying pan and then mix with salt.